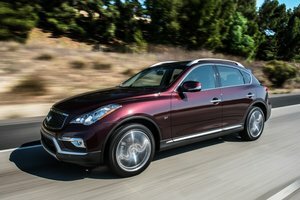 The midsize sedan segment is heavily competitive, and Nissan knows what it takes to bring a breadwinner to the table. Case in point: the 2015 Nissan Altima. Redesigned just a few short years ago, the Nissan Altima is stylish, sophisticated, and all grown up with plenty to offer in terms of amenities and drivability. The 2015 Nissan Altima is available with either a 2.5L 4-cylinder mill that produces 182 horsepower and 180 lb-ft of torque, or a 3.5L V6 that’s good for 270 horsepower and 251 lb-ft of torque. The latter is only available on the top-of-the-line 3.5 SL model. Regardless of engine choice, the transmission remains an Xtronic CVT, and paddle shifters and manual shift mode are available, but only on the 3.5 SL. 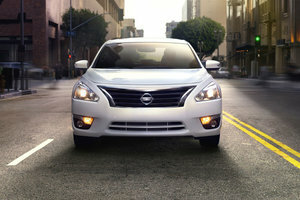 There’s something subtly classy about the look of the Nissan Altima, and there always has been. It looks like it means business, and it does. From nose to tail, the lines are crisp, clean, and sharp. Featuring cues of Nissan’s V-Motion signature look (lobster-claw lighting housing), the 2015 Nissan Altima is a very attractive midsize sedan that would be at home in any driveway. 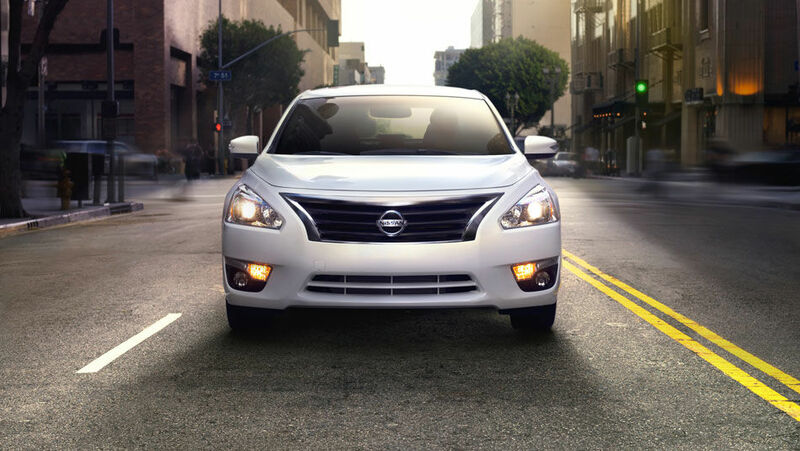 Whether you’re a new family or empty-nesters, the 2015 Nissan Altima will suit your needs. With seating for five and a 436 litre trunk, this is a highly practical vehicle that’s also a joy to drive. 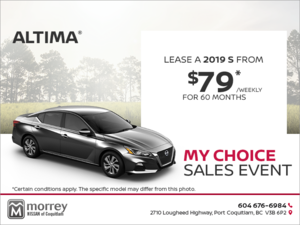 Comfortable and roomy, the 2015 Nissan Altima features such interior amenities such as available NissanConnect Apps, satellite radio, Bluetooth, heated front seats, Nissan Intelligent Key, push-button ignition, mood lighting, and even a Bose Premium Audio system. Whether you’re looking for a simpler version of the Nissan Altima (like the 2.5 base model) or the fully decked out model (3.5 SL), there’s one for everyone and for all needs. All you need to do is head down to Morrey Nissan of Burnaby and book a test drive today! Contact us now for additional information.